HDMI is a standard monitor connector that is capable of carrying an HD or 4K display signal. 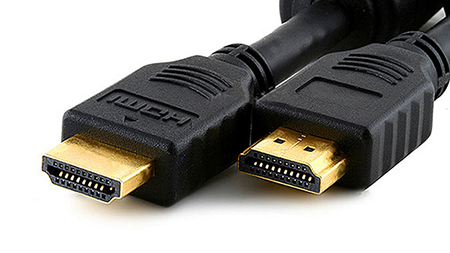 HDMI can carry picture and sound data across the same cable. The cables themselves are generally male to male connections, whereas the device inputs are normally female connections.